New summer anthem from the Freebandz team of Future, Maceo, and Zaytoven: "Havin It." It's been a while since Lil Mexico's own Maceo came through with some new music, his last track being the TM88-produced single -- "MCM Bag" -- that he dropped at the end of last year. The Freebandz signee is now back in a major way, as he has appeared next to Future as well as Zaytoven, one of his boss' favorite producers, on a new collaborative single entitled "Havin It." Arriving after last month's Project E.T., released by Esco, the Freebandz Gang has thrown yet another street banger into the summer rotation. 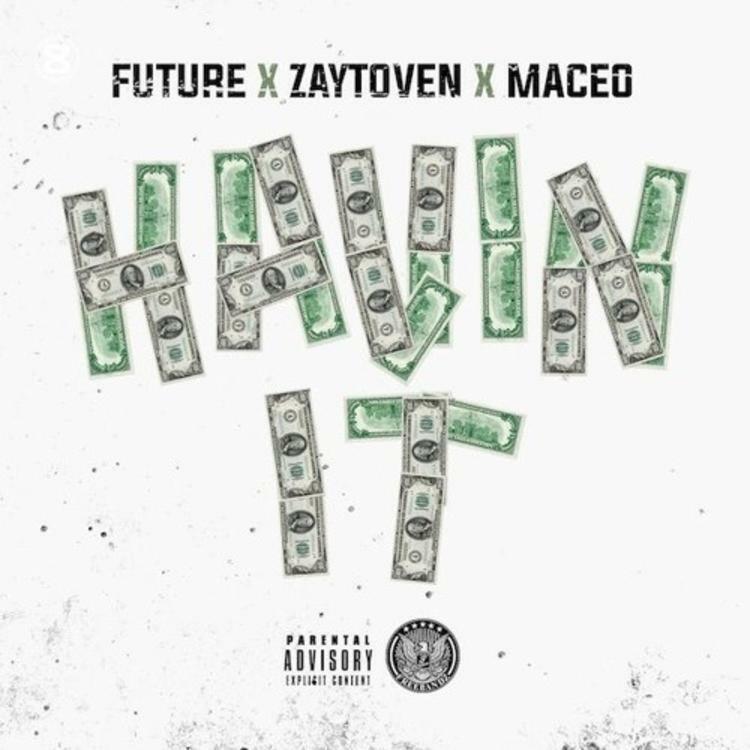 "Havin It" should prep listeners for more heat from Future and Zaytoven, as the veteran producer just revealed that their joint tape, Beast Mode 16, is nearing its completion and that it will contain at least one collaboration with Drake. For now, "Havin It" will do just fine, especially as it provides a reintroduction to Maceo, part of an impressively deep Freebandz lineup.